The Olympics passed. I have always believed that sports could contribute to a cultural revolution in Central and South Asia, starting from Afghanistan. I kept asking myself how to present “Olympic champions” as role models for young women and men in developing countries. But the thought of people like Marion Jones and Ben Johnson were at the back of my mind. 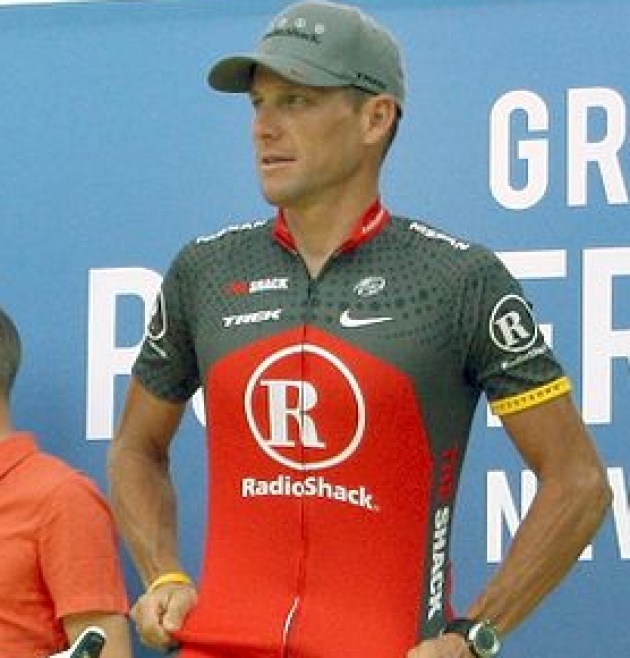 Lance Armstrong resolved a dilemma that had been growing inside for the last few months. Lance got caught and, once more, showed that “professional sports” athletes can't be role models for young people in developing countries. For decades, countries like Afghanistan, Columbia and Mexico suffered from the consequences of internal narco-trafficking struggles. Today, all professional sports suffer from a similar problem with narcotics and performance enhancing drugs. Check the Wikipedia list of doping cases and also its dedicated section to cycling doping cases. It is sad and disappointing. Film Annex has taken a serious commitment in the educational systems of Central and South Asia, starting from building schools in Afghanistan and developing the Examer Educational Software in English, Dari and Pashto. It will soon be implemented in other languages for the entire region surrounding Afghanistan. Film Annex has also acquired equity in the Esteqlal football team, part of the Kabul premier league. It is a step towards the world of sports. All players in the team have a job outside of football to support themselves and their families. This is the extent of what “professional sports” is in Afghanistan today. There is no million dollar contracts, no millionaire sponsorships. Film Annex's goal is to support sports, create role models that are drug free, eliminate the pressure of victory, and establish a commitment to education and development. Film Annex empowers athletes to be part of the educational system, meet with young children, entertain them with exhibitions and fun projects. Athletes' goal is not only to put the ball in the goal but educate children and support their future. Athletes can be educators. Lance Armstrong, Marion Jones and Ben Johnson could have been an inspiration but became a disgrace. Armstrong lost Nike's sponsorship, but, above all, betrayed the millions of kids in need of a role model and inspiration. I have done 30 years of Judo and Judokas like my father Roberto and Sensei Luciano Bertaccini have been my role models. Their best victory was to train me to be a successful and drug free element of society. Unfortunately today, we can't say this about most professional athletes. It would be a utopia to discourage them from such behavior as there are million dollar contracts waiting for them at the finish line. Let's replace the millions of dollars of compensation with millions of children and a serious educational responsibility. Let's expose athletes to their responsibility to be role models and document step by step their thoughts and suggestions, their victories and loss. Let's write and film about this instead of telling people how much an athlete is worth.